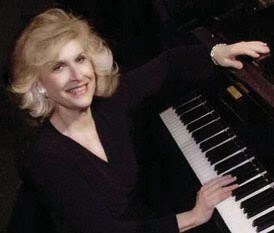 The Coastal Jazz Association presents Jazz – Just Across the “Park” featuring Lenore Raphael on Sunday, June 29, 2014 at 5pm at the Mansion on Forsyth. Admission is $20 for nonmembers and free for students and members. Born and raised in New York City, Ms. Raphael began playing the piano at age 3. She performed at Carnegie Hall in a piano recital at age 7 playing a classical piece by Mozart. Her interest turned to jazz at age 12 and she has devoted her life to her love of jazz, performing and teaching jazz master classes internationally. As a renowned international jazz Pianist / Steinway Artist, ASCAP award-winning composer and jazz teacher, Ms. Lenore has performed at top jazz venues. Ms. Raphael had the honor of performing at the tribute to Oscar Peterson in Toronto, Canada where she performed her well known composition. “Blues For O.P.” Ms. Raphael has also had performances at major jazz festivals, such as Ottawa International Jazz festival, Joy of Jazz festival (Johannesburg, South Africa, Jazz in the Sangres (Colorado) renowned jazz clubs such as Jazz At Lincoln Center, The Blue Note, Birdland, Ronnie Scott’s, and universities world-wide, she is one of the busiest artists in the jazz genre. She has won ASCAP awards for her original compositions, which appear on her own CDs and other artists’. They have been played on Continental Airlines in-flight jazz stream, and on jazz stations worldwide, including their inclusion into the Jazz At Lincoln Center jazz stream. Ms. Raphael has recorded 7 critically acclaimed CDS on the Swingin’ Fox Music label. Some of her recordings have reached Top 10 airplay and her 2006 recording “Invitation” and 2012 recording “Loverly” were up for Grammy nominations. Ms. Raphael now has her own radio show called “Lenore Raphael’s JazzSpot” on purejazzradio on the internet where she interviews and performs with famed jazz artists and up and coming ones as well. Along the way she has performed and recorded with such greats as Clark Terry, Warren Vache, Howard Alden, Harry Allen, Bucky Pizzarelli, Jack Wilkins and more. In addition, she is a talented jazz teacher and has done highly acclaimed Jazz Master Classes and colleges and universities world-wide. She was also director at the summer jazz workshop at Montclair University in New Jersey and ran the summer jazz camp at East Tennessee State University. Lenore is now the artistic director for two ongoing jazz concerts in New York City and in North Carolina. New Location: Mansion on Forsyth Park, 700 Drayton Street. Free Parking ON The Street. For more information visit savannahjazzfestival.org.